Odell Beckham Jr is set to step up his return from injury, with New York Giants coach Pat Shurmur expecting the wide receiver at a mini-camp next week. Beckham suffered a broken ankle in October and is still recovering from the injury that kept him sidelined for most of last season. While the 25-year-old has missed the Giants' recent voluntary organised team activities, he was in attendance for offseason workouts and Shurmur expects to see his star man at mini-camp. Asked whether Beckham and team-mate Damon Harrison will make an appearance, Shurmur replied: "Yeah, absolutely." 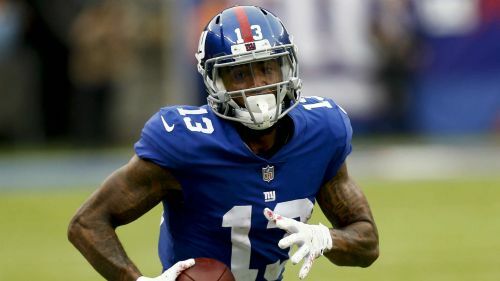 Tensions have been reported between Beckham and the Giants during the offseason due to the player's alleged contract demands, although Shurmur played down talk of a trade.